The California Health Insurance Exchange, known as Covered California, is currently allowing licensed insurance agents to become certified to help reach and enroll millions of Californians through their online marketplace beginning October 1, 2013. Insurance agents interested in being a part of the California Health Insurance Exchange are required to be trained and certified by the state. In addition, agents will be required to sign an agreement when selling products for Covered California. Agents can register for training here. After the account set up and agent registration profile is completed, the California Department of Insurance will verify the agent’s registration and license. Once verified, the Learning Management system will send an e-mail to the agent, allowing them to sign up for training. Agents should allow 48 hours for the e-mail. Once the e-mail from Covered California’s Learning Management system has been received the agent can sign up for specific training dates and locations. Training will start September 3, 2013. After achieving a passing score on the exam, agents will be contacted to review and sign the Agent Agreement, submit their E&O Declaration page, and state pay data form (similar to a W-9 form). Certification training is free; however, there will be endorsement and administrative fees, which are estimated to be approximately $60. 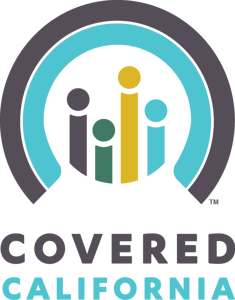 Covered California will offer certified agents tools to market and brand themselves on the online marketplace. A kit will be given to all Covered California Certified Insurance Agents, which will include Brand Guidelines explaining how agents can use the website for advertising and how to link to Covered California from their website. Covered California will also provide marketing materials available to download and co-brand. Agents are also allowed to create their own material, but the material must be approved by Covered California before it is used. Covered California Certified Agents will not be able to create a Covered California domain name.